Welcome to the third post in our new series where women who have lived on multiple rocks compare the lifestyles of different islands. If you missed the first two, click here or here. This site receives so many questions in the realm of “What’s it like to live on *insert island here* compared to *insert another island here*?” that I wanted to start a comparative post series. Please keep in mind that the opinions represented here are simply based on an individual writer’s experience. If you have follow-up questions, pop them into the comments’ section at the end of the post and the writer will do her best to reply. 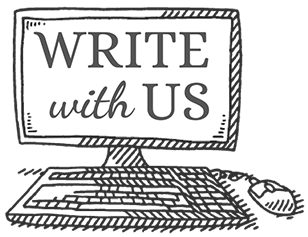 If you’ve lived on multiple islands and would like to share your perspective, please visit our Write with Us page and join us as a contributor – we’d love to have you! I’ll be honest from the start of this comparison post that my biases and preconceptions run deep. As a kid growing up in Florida, the Bahamas were considered just one narrow step up from a trip to Ft. Lauderdale. (And – ahem – the Ft Lauderdale of the early 90s was not anything like the Ft Lauderdale of today.) If you were really cool (or your parents were moderately rich and nice), you went to the Caribbean. The Caribbean was foreign, cool, and dangerous (Hello! There was even a Disney ride about the pirates there!). As an adult, of course, I am able to craft a more thoughtful and objective comparison of the two – living in the Bahamas vs living in the Caribbean. I was lucky enough these past two years to spend one winter on Elbow Cay and the following winter on Antigua, then capped it off with one more month on Elbow Cay. Antigua vs Elbow Cay, and the few parts in between. The best parts at the top, the worst at the bottom, and the overlap in the overlap! While the Bahamas is often lumped together with the Caribbean in many people’s minds, it is actually in the Atlantic. Elbow Cay is located in the Abacos, a collection of islands in the far North East corner of the Bahamas. Only 8 miles long, and at some points less than 100 meters wide, Elbow Cay is flanked by the Atlantic Ocean to its East and the Abaco Sea on its West. Founded by British Loyalists in the 18th century, it retains a lot of British flavor today, as well as descendants from these early settlers. (I can happily report that Elbow is NOT one of those Bahamian islands that retained the same exact gene pool across three centuries. Those islands will remain unnamed, but if you’ve been there, you know what I’m talking about. I digress.) Elbow Cay is tiny, but boasts the gem of a village named Hope Town. The water color and clarity is hard to beat, and the amount of marine life that you see on a daily basis is astounding. We saw a hammerhead shark, nurse sharks, reef sharks, bull sharks, turtles, dolphins, all kinds of rays, tropical fish, and starfish the size of my head on the regular. The water is so clear that you can easily see all of these things before you even stick your face in and snorkel. Antigua or Bahamas? This is one photo that is difficult for me to tell! I captured this photo while driving our dinghy: one hand on the tiller and one trailing the GoPro through the water. Cool marine life is just that easy to find in the Bahamas! Antigua, part of the West Indies, is 1,200 nautical miles Southeast of the Abacos, but may as well be on a totally different planet. Deep-water channels through chains of stunning mountainous islands, combined with the trade winds, make it a sailor’s dream destination. Thanks to this, its ports are full of racing yachts and mega-yachts, and its calendar is booked with various race weeks. It is also a trusted provisioning stop for many smaller cruising boats before or after an Atlantic crossing. The Bahamas see more retired boaters living out their dreams, while Antigua boasts more adventure-seekers and professional sailors. While we loved both islands, there are some stark differences. Sailing with this backdrop? Yes, please! If you have ever done actual grocery shopping at your local 7-11, then stocking up on Elbow Cay will be easy-peasy. Of course, you can take a ferry and a taxi and find yourself in a place called Maxwell’s (think Florida Costco at quadruple the prices). I did this once, and it just wasn’t worth the effort, even for a vegan who is obsessed with fresh food. I finally found a farmer’s market on a nearby island that happened every Saturday, so I got in the habit of taking our power boat the 40-minute ride across and stocking up there. There was one single resort on the island with fantastic food and a few vegan options and I would eat there once, sometimes twice, per day. Guilty as charged. Speaking of charged, I’m pretty sure I maxed out a credit card or two there in the name of healthy eating. If you prefer easy access to a wide variety of local and international foods, Antigua is your place. Not only does it have a domestic agriculture economy, the Rastafarian culture promotes eating lots of fresh fruits and veggies. This means that a fruit stand is found every few blocks, and the word “vegan” is not foreign or dirty. Most restaurants offer vegan dishes, and if they don’t, they are happy to accommodate. In four months, I only made one trip to the “big” grocery store, and I wandered the aisles, so confused. Didn’t I just see honey? Tea, again? A third section of nuts? I finally realized that the flags overhead in the aisles were more than just decorations – each aisle represented a different country, and since they apparently like tea and nuts in many countries, the aisles simply repeated themselves, though sometimes with varying brands. I would grab maple syrup in one aisle only to abandon it three aisles later for my favorite brand. I must have switched out my nut stash five times as I made my way through the store, seeing better and better options. I told my taxi I’d be out in 20 minutes; two hours later, I finally stumbled out, vowing to stick to the local fruit stands and markets from there on out. Antigua assaulted our lungs in other ways as well. My morning runs sometimes felt more harmful than helpful, as I ran along sucking in diesel fumes from the old world engines zipping past me. The final kick in the lungs came in huge toxic clouds of mosquito repellant. Every couple weeks, a truck would circle the harbor blasting smoke from a cannon in the bed. Huge clouds of toxic fumes would flood the harbor. Since Falmouth Harbor, where we lived, is circular, there was no escaping it. For the first one, I ran into the nearest restroom, and called our pediatrician in a panic. All she did was “assure” me that any detrimental effects would probably not arise for twenty or so years. Great, thanks. For a quick vacation, I generally recommend Elbow Cay – it is more difficult to travel to, as it involves a smaller airport, taxis, and ferries. The extra efforts pays off once you arrive in Hope Town, however, and you are in the cutest, quaintest little village, surrounded by some of the clearest, most stunning water of anywhere I’ve been. Most vacations to Antigua seem to involve all-inclusive resorts that whisk their guests through the local towns and right through their high, sometimes razor-lined, resort gates. Gorgeous water and beaches, yes, but not an authentic experience by any stretch. If I were choosing a home, and not a vacation destination, Antigua would win every time. Getting around exclusively by golf cart on Elbow Cay is a quaint novelty for a week or so, but having access to a car and an entire island country to explore in Antigua means endless adventures. We used a local taxi driver who came highly recommended by sailing friends, and so we got treated to Antigua through JB’s (or sometimes his cousin, Queely’s) eyes. While the kids loved feeling like grownups, bouncing along lawlessly in their unbuckled seats, they will never forget the day they witnessed a political rally from our van, after getting stuck in a fender-bender outside a local bar. Home education at its finest, kids! Speaking of kids, I spent a disproportionate amount of energy fearing for their lives on Antigua. So many cars, so many crazy drivers, so few seat belts, and no sidewalks to speak of. I breathed a big sigh of relief once we arrived back in Elbow Cay, and I could let them run barefoot and free through the tiny streets once again. This lasted all of two weeks and then of course, I found myself missing all the action of Antigua. That is island life for you – you can’t have it all, but you can have it pretty damn good. Lily has been island-hopping for the last three years aboard her sailboat “Robin Hood” with her husband and tribe of monkeys – three boys ages 8 months, 3, and 5. Thanks to boat repairs, she has done more island living than island hopping for the past two winters, but she’s not about to start complaining! A big believer in teaching old dogs new tricks, she is perpetually trying to learn new things from guitar to skateboarding to various ill-advised water sports. A big photographer, she lugs around her special camera equipment backpack loaded with a GoPro, DJI drone, and Fuji camera, all while snapping hundreds of photos on her iPhone. Follow her adventures in children, beach-hopping, and boating on Instagram @boatsboardsandbabies and on her blog, Explore New Shores.